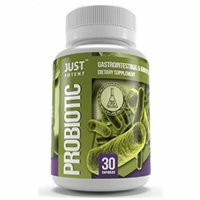 Detailed review of Just Potent Probiotic. See how this probiotic supplement compares against all the others! Overall, at 3.5 out of 5 stars, Just Potent Probiotic is an above average supplement. 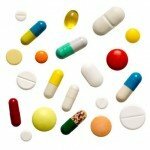 You only have to take 1 capsule daily with a meal, which is much better than trying to remember to take multiple doses. Just Potent Probiotic is also shelf stable and doesn’t need to be refrigerated. The stability of these capsules also helps them survive stomach acid. This probiotic is very allergy friendly and the capsules are also veggie caps. I like the addition of Fructo-oligosaccharides (FOS) and FiberAid – Arabinogalactan (LAG) which both give the probiotics a boost in your system. What I don’t like is that this probiotic isn’t safe for kids. I also don’t like that company doesn’t offer any sort of money back or satisfaction guarantee and the return policy has many stipulations. Overall, I do think that Just Potent Probiotic is an above average probiotic that is allergy friendly, stable, and easy to use but it’s not safe for kids and lacks a guarantee. Just Potent Probiotic has 8 probiotic strains with 35 billion CFUs per capsule. 35 billion is a lot, and probably overkill for the vast majority of people out there. It’s probably best used for specific ailments for a short length of time. Of note, I like the use of Lactobacillus acidophilus in the strain profile. This is the tried and true probiotic that has been researched quite heavily. Lactobacillus acidophilus has been shown to help with constipation, bloating, and overall gastrointestinal support. 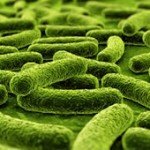 Lactobacillus acidophilus may also help with diarrhea, vaginal infections, and Irritable Bowel Syndrome (IBS). I also like the addition of Bifidobacterium longum in the probiotic lineup. Bifidobacterium longum has been researched to show potential decreases in inflammation associated with inflammatory bowel conditions such as Irritable Bowel Syndrome (IBS). This strain may also help lower the prevalence of certain allergies. B. longum has also been shown to possibly help recolonize the good bacteria that has been stripped from the body after taking a round of antibiotics. Just Potent Probiotic is very allergy friendly. The capsules contain NO dairy, salt, wheat, or gluten. As a perk, they’re also free of preservatives, artificial colors, or flavors. Other than the probiotic strains, the only other ingredients are veggie capsules, Fructo-oligosaccharides (FOS) and FiberAid – Arabinogalactan (LAG). For a 30 capsule bottle, it costs $24.99. This works out to be $0.83 a day to take this supplement. This falls right in the average range as far as supplement costs. I think it’s a good value for the money. I was very happy because I didn’t have any side effects while taking this probiotic. This is a definite plus. 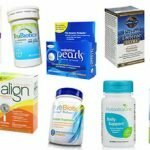 I didn’t have any belly pain and I felt really good while taking these supplements. Unfortunately, Just Potent Probiotic doesn’t have any sort of money back or satisfaction guarantee. This is a big disappointment. 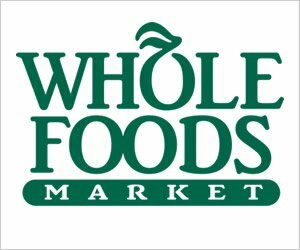 They don’t even have a flexible return policy. The bottles must be unopened and they can charge anywhere between a $5 – $10 restocking fee. This is a real bummer not having a guarantee or a feasible return policy. To buy Just Potent Probiotic, click here. Side Effects I didn’t experience any side effects or belly pain. Guarantee No satisfaction guarantee offered.